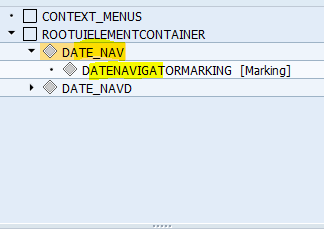 Date Navigator can be very much useful in case of Time related applications. In one of my development related to the Leave application, has created a Calendar which has been marked with the Leave days, Holidays & Week offs with the Tooltip text mentioning the exact description along with the Legends which shows the meaning of the colors marked. 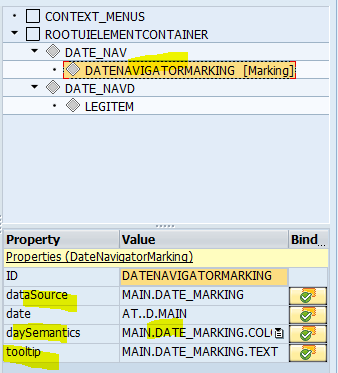 Use the Data Navigator UI element and create a Date Navigator Marking Ui inside it. Create a Legend UI element with a proper element id & Create a Multiple legend Item Ui inside it. Write the necessary logic in WDDOINIT method to fill the internal table of the DATE_MARKING & LEG_ITEMS node to see the result in the UI. Please check the code give in the sample code section. 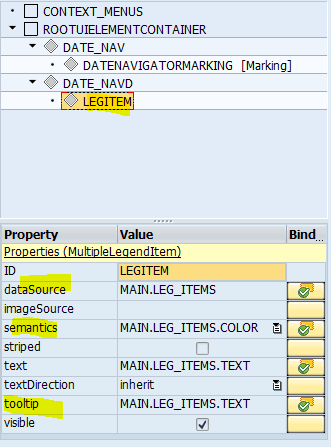 DATA lo_nd_leg_items TYPE REF TO if_wd_context_node. IF lo_nd_leg_items IS NOT INITIAL. 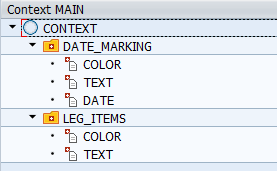 DATA lo_nd_date_marking TYPE REF TO if_wd_context_node. 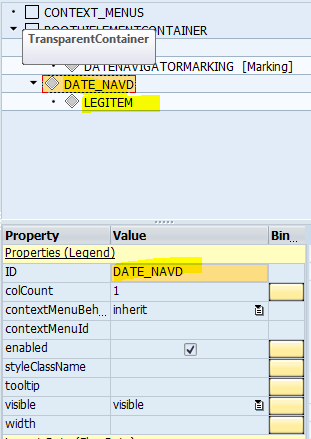 IF lo_nd_date_marking IS NOT INITIAL. nice example . Works fine.